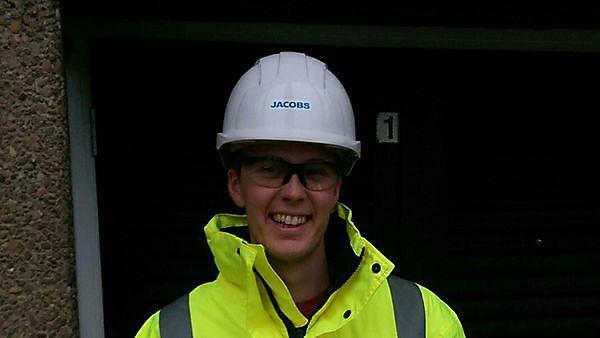 “I am currently in my third year at Plymouth University studying for a MEng in Civil and Coastal Engineering. The third year of my course gives the opportunity to complete an industrial placement year, before returning for a further two years study. I was fortunate to join Jacobs this summer as a winner of the ‘Jacobs Young Talent Award’. This opportunity was first advertised to me during a presentation, conducted by Nigel Edwards, in one of my lectures. After researching the company, I was attracted to Jacobs by their broad multidisciplinary portfolio as well as their sustainable approach to business. I applied and was shortlisted for interview; I was delighted when I was awarded a position within the Energy team. I joined Jacobs’ Exeter office at the end of May this year, straight after my university exams (with only a few days off! ).